In the Aloha State, you can say “aloha” to legal Hawaii sports betting. And that’s “aloha” as in “goodbye,” not “hello,” because Hawaii is notoriously stringent in its anti-gambling laws, and no form of gaming is technically legal in the state. There are only a couple of actual workarounds or Hawaii sports betting “loopholes”: gambling ships and offshore sports betting sites. Re the former, there are – very infrequently – international gambling ships that stop at one or several of Hawaii’s islands. However, these aren’t really viable options for those who wish to wager on sports, leaving the Internet-based avenue the only legitimate and safe choice. Why Hawaii has banned all forms of gaming in the state (there isn’t even a state lottery or charitable bingo available) has more to do with its unique societal culture among American states. (The same, for example, is true with Utah, which is heavily influenced by its Mormon roots in the way it opposes legalized gambling.) Hawaii residents are very family-oriented, and there is a strong local belief that the introduction of legal sports betting and other gambling will be a detriment to that way of life. While there is no empirical evidence that gambling diminishes any community’s quality of life, it is difficult to see legal Hawaii sports betting cropping up any time soon in any in-state, land-based fashion. Fortunately, the 200,000 HI residents who bet on sports have a safe haven online at offshore sportsbooks. Indeed, all the major sportsbook operators on the Internet – BetOnline, Bovada, BetDSI, SportsBetting, 5Dimes, and BookMaker – accept HI residents as members, and signing up is secure, fast, and free. 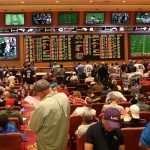 Is Land Based Sports Betting Legal In Hawaii? No, land-based sports betting is not legal in Hawaii. Whether or not this changes in the future has to do entirely with the state’s tourism revenue and how it wishes to balance that with its long-standing cultural aversion to gaming. 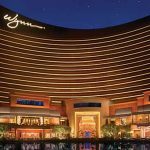 There is some talk among state legislators that if the tourism industry continues losing money, the establishment of casino gaming and sports betting would be a shot in the arm for the local economy and promote wide economic growth across the board. However, this isn’t at all likely to happen any time soon. Is It Illegal To Bet On Sports Online In Hawaii? Technically-speaking, yes, it is illegal to bet on sports online in Hawaii. Hawaii’s blanket ban on gambling and bookmaking seem to preclude the lawful exercise of putting money on your favorite players and teams. While it is not that simple (as you will see), as a general rule, you need to view sports betting as generally illegal for those living inside the state. However, just because sports betting is not legal, it doesn’t mean that the law is enforced when it comes to individual bettors. In reality, that’s exactly the case, as no HI resident has ever gotten in legal trouble just for placing bets with an offshore sports wagering site. Still, caution is advised. Is There Anywhere In Hawaii That I Can I Bet On Sports? In terms of physical brick-and-mortar locations, there isn’t anywhere in Hawaii where you can bet on sports. That said, if you have an Internet connection and the inclination to do so discreetly, you can easily wager on sports from anywhere in Hawaii, in just a few taps or clicks. Offshore sportsbooks are not locked out of operation in the state, and the state does not monitor traffic to and from these sites. Hawaii is in the middle of the Pacific Ocean, so there isn’t anywhere “nearby” that offers legal sports betting. However, on the off chance that commercial gambling is ever successfully introduced to Hawaii, the most likely site of the state’s first casino would be in Waikiki, as there has already been lots of legislative chatter about putting a casino in this major Honolulu tourist destination. Of course, other cities and regions of other Hawaii Islands are also an option if legalized gambling ever gets off the ground in the state. Outside of the state of Hawaii, in technical terms, Nevada is the closest place to Hawaii – 2684 miles away! 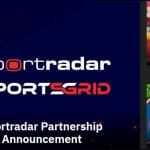 – where you can place wagers on single-game sports contests. 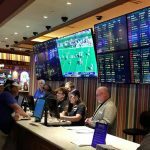 There are sports betting venues all throughout the state, though for traveling purposes, flights from Hawaii to McCarran International Airport in Las Vegas are the way to go. There isn’t too much to say about Hawaii sports betting and gambling laws. Hawaii Statutes § 712-1223 sums it all up: “A person commits the offense of gambling if [her or she] knowingly advances or participates in any gambling activity.” It’s really that simple. Fortunately, the penalty for gambling in Hawaii is a simple misdemeanor. 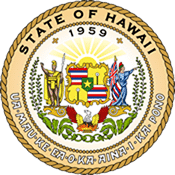 The Hawaii statutes also define bookmaking as the advancement of gambling activity “by accepting bets from members of the public” on the future results of various events (including sporting events). As stated, Hawaii legislators have been flirting with the idea of floating the casino gaming and sports betting concept to congress, but so far, there has been no action on this front, and there are currently no bills before the state legislature that propose any sort of legal Hawaii sports betting. Because of its geographical distance from the rest of the US, Hawaii is in the same boat as Alaska – there just aren’t that many local teams on which to bet. There are only a few college clubs, and there are no professional teams of note. Still, by using offshore sportsbooks, you can bet on any team you want, and that’s a good thing, because while Hawaii has slim pickings for home teams, they have a large population of sports fans that align fervently with various continental USA clubs. Horse racing betting is illegal in Hawaii, and there are no horse tracks. Additionally, off-track betting (OTB) services are illegal, and there is no simulcast wagering allowed, either. However, this wasn’t always the case, as in the late 1800s and early 1900s, there actually were horse tracks in the state. In fact, Kapiolani Park (the largest public park in Hawaii, near Waikiki) originally had a horse track that was the basis for the park’s initial design! Still, that’s all ancient history, and there is no market for horse tracks in Hawaii, even if pari-mutuel betting were legalized. Fortunately, all the top offshore sportsbooks also have top-notch international racebooks you can access with your betting account, so fans of the ponies in other states can still enjoy the days and nights at the races. Though daily fantasy sports (DFS) in Hawaii has its pundits, none of the major service providers – like DraftKings and FanDuel – operate in the state. This is because, back in 2016, HI Attorney General Doug Chin released a statement that Hawaii views DFS gaming as “gambling,” rendering it illegal in the state. As such, you will not find any mainstream DFS provider in the state. Whether or not DraftKings and FanDuel (and other bigtime DFS brands, like Yahoo!) will return to Hawaii in the future remains to be seen, but the prognosis for the medium-term future is not good. Can I Bet Real Money On Sports In Hawaii? You can easily and safely bet real money on sports in Hawaii, provided you take a few extra steps to secure your actions. Remember, sports betting is not legal in the state, though HI authorities do not block access to offshore books, and they do not monitor residents’ browsing activities. To ensure smooth sailing if you choose to buck the law and wager anyways, the best course of action is to use only a top sportsbook like Bovada, BetOnline, etc., and deposit your funds (and request your payouts) in the form of Bitcoin or another cryptocurrency. Is Online Sports Betting Safe In Hawaii? If you take our advice and use only the top online sports betting sites as well as cryptocurrencies like Bitcoin to fund your accounts, then online sports betting is safe in Hawaii. 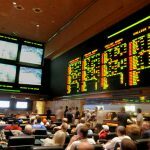 Yes, the activity is nominally illegal, but the risks of participating via the above route are minimal, and there is no record of any HI resident ever being cited, fined, arrested, or even inconvenienced over using these offshore sportsbooks. They’re the closest thing to legal Hawaii sports betting that you can get, and countless HI bettors have used these services for years, without a hitch. Will Sports Betting In Hawaii Ever Be Legal? Out of all the states (save Utah), it is most difficult to predict whether or not sports betting will ever be legal in Hawaii. There could come a time when there’s the perfect storm of lax tourism, economic depression, and generational rebellion from tradition that could lead to the legalization of casino gaming and sports betting in the Aloha State, but the outlook – for the foreseeable future – is grim. Will I Get Arrested For Sports Betting In Hawaii? You will almost certainly not get arrested for sports betting in Hawaii, and nobody has ever been tossed in the clink for wagering on their favorite teams at legal offshore sportsbooks. That said, it is a very remote possibility. Your chances of being arrested for sports betting in HI are akin to your chances of winning the lottery (and remember, there is no lottery in Hawaii). Only you can decide if it’s worth the risk, of course. What Is the Sports Betting Age In Hawaii? There is no legal sports betting age in Hawaii, nor are there legal ages for any form of gambling, as all gambling is outlawed in the state. However, all the top sportsbooks set their minimum age of membership at 18 years old. Please be advised that if you sign up and/or wager at these sites under the age of 18, your account will be permanently banned and you will have all of your funds confiscated with zero legal recourse to get them back. Books are reticent to ban customers, but when it comes to their terms of service, they are very diligent and strict. Are There Mobile Sports Betting Apps Available In Hawaii? There are no mobile sports betting apps in Hawaii, as the state has no legal gambling of any kind. Additionally, Apple and Google do not allow offshore sportsbooks to offer their official apps in the App Store or on Google Play. However, this is pretty much irrelevant, because all of the best sportsbook services have mobile-optimized sites that work perfectly on iPhones, Androids, and tablets. All you need to enjoy sports betting on-the-go in Hawaii is a mobile device, an Internet connection, and a little spark of rebellion. Where Is The Best Place To Bet On Sports In Hawaii? There is no “best place” to bet on sports in Hawaii, at least in terms of a brick-and-mortar, publicly-facing locale. However, because online betting is so secure, quick, and easy, anywhere you are at any given time – provided you have a data or Wi-Fi connection – is tops for putting money on your favorite matchups. In your hands, you hold the closest thing to legal Hawaii sports betting that currently exists. Should I Use A Local Bookie In Hawaii? You should absolutely not use a local bookie in Hawaii. While black-market bookmakers obviously exist in the state, most of them are either unreliable or connected to larger crime syndicates. In any case, if you use a local bookie in HI, you run a significant risk of being caught by law enforcement and charged with illegal gambling. When you consider how comparatively save online sports wagering is, there is no reason to flirt with such disaster. Do Any Casinos In Hawaii Have Sports Betting? There are no casinos in Hawaii, and there is no sports betting in Hawaii. So no. But in all seriousness, even if HI does one day get a casino or two approved and opened, it’s not a sure thing that sports wagering would be offered (or at least be widely available, as any HI casino is likely to only allow guests with rooms the opportunity to gamble, a la the famous Greenbrier in West Virginia). Is It Legal To Bet On Sports With My Friends In Hawaii? Yes, it is legal to bet on sports with your friends in Hawaii. Social gaming is allowed in Hawaii if certain specific criteria are met, though “bookmaking” is specifically disallowed. Note, however, that in a social setting (located in a private residence only), “bookmaking” is not the same as “sports betting,” and it is possible to bet on sports among your friends and acquaintances without the presence of a sportsbook or sportsbook service of any kind. Implicitly, if there is no house take or gambling rake, a sportsbook or gaming house cannot be said to be in operation. This, then, is the only truly legal Hawaii sports betting opportunity for HI residents.